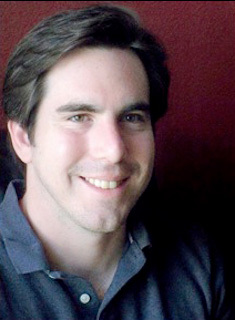 Tom Sanchez is an editor, screenwriter and film director. 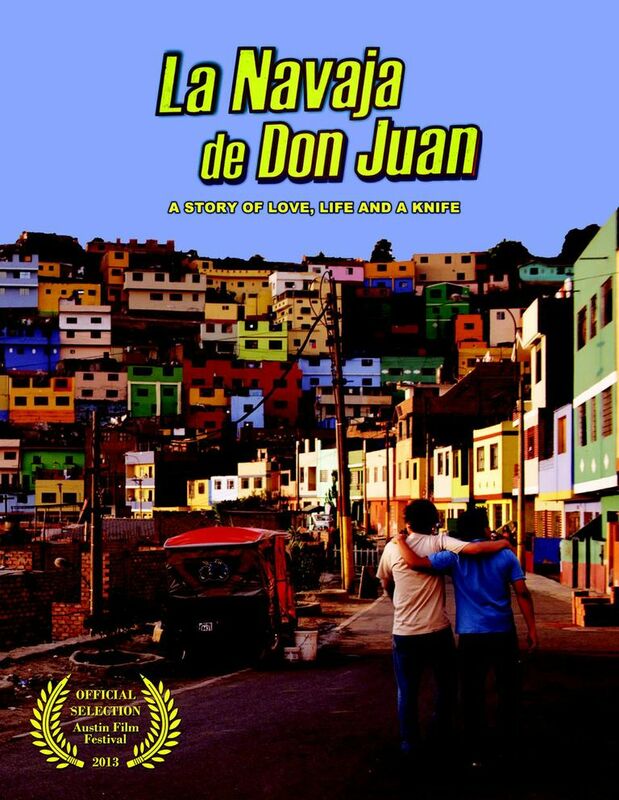 His debut feature, La Navaja de Don Juan, had its World Premiere at the 2013 Austin Film Festival. Starring J.C. Montoya, Rodrigo Viaggio, Antonio Arrue, and Irma Maury, the dark comedy is currently touring the international festival circuit. Mr. Sanchez wrote, directed, and produced the film with Benjamin Wilkins and Julie Sifuentes Etheridge. Hot off two screenings in Austin, Mr. Sanchez spoke with Sean Malin of CineMalin: Film Commentary about shooting in his home city of Lima, Peru, the importance of universal appeal, and how Texans took to his “Superbad meets Y Tu Mama Tambien” first feature. This interview has been transcribed, compressed, and edited from audio for publication. Sean Malin: La Navaja de Don Juan is your first feature film. When did you start making the finished product? Tom Sanchez: I wrote the script in Los Angeles in 2008, and we started shooting it in Lima about eight or nine months later, in February of 2009. We shot it in two parts – the second portion we shot in October of 2011 – entirely in Peru. In early 2013, we finished post-production and mixing back in L.A.
SM: Why did you make the choice to shoot in Peru when you’ve successfully made your previous work in Los Angeles? TS: I did shoot one music video in Los Angeles, but I shot another in Omaha, Nebraska for Team Love Records. I wanted to shoot my first feature somewhere I knew well; the scenes that take place in the daytime interiors were actually shot in the house I lived in [before moving to California.] Also, I don’t think we see too many non-Peruvian movies that take place in Lima. Usually, if one does go to Peru, it’s in something like Indiana Jones 4 and they don’t actually go to Peru, they just add Mexican music or something that looks like a farmer’s market. SM: Where did you find the resources, as a Los Angelino filmmaker, to shoot a feature in Peru? TS: That house we shot the early scenes in was actually my late grandmother’s, and it’s more like three houses. In 2009, we shot the first thirty minutes there and I was able to edit together a little trailer and start sending that out around town. Then we funded Navaja a few ways: we opened an LLC for it in addition to receiving a grant from the Peruvian Ministry of Culture. The government awards a certain amount of money each year to films shooting in Peru, and we luckily won that. Also, we did an Indiegogo crowdfunding campaign that helped out quite a bit when we were finishing the film. SM: When you win an award from the Peruvian government, do they supervise or censor your work in any way? Do they send some sort of representative to the set or to the post-production facilities to make sure you work under their auspices? SM: They must have liked yours, though, because you managed to shuttle a first film written in Los Angeles from script to production in Peru in less than a year. This seems to me like a rare kind of experience for any filmmaker, much less one working transnationally. Where do you think the appeal lays for the people you were taking meetings with? TS: My intention was to create a film that would be accessible internationally, or even universal. There are a lot of popular Peruvian films, to be sure, but most of them aren’t very international. So I tried to write something that could be popular in both the U.S. and Peru, and so far, the responses to that have been good. SM: Where did this idea of the knife, which the two brother characters fight over throughout the film, originate for you? TS: I wanted something that represented their [late] father…but to tell you the truth, I have also inherited a knife from my grandfather on my mother’s side. He was in World War II, and a few months before he passed away, he brought a chest of things from his war days and just sort of handed them out to me and my cousins. I think that played from the back of my mind into the script. SM: Have the Austinites who saw your screenings at the festival responded any differently, or more or less enthusiastically than, Peruvian audiences for whom you’ve test-screened La Navaja? TS: In general, reactions have all been positive – the Austin Film Festival’s Genius rating system for the people who have watched it ranks us at a 4.6/5 stars. When we sat in the audience for the screening, there were a lot of laughs at the right times and gasps as well. It seems to be playing like we’d hoped. SM: How do you think your film might fit into the Peruvian market based on the feedback you’ve gotten so far? Are Peruvian audiences likely to be attracted to a more international-style picture than the typically popular “local” film – and does that play into why the government awarded you the grant? SM: Did any other Peruvian films, writers or filmmakers influence how you made your movie? And I don’t just mean for inspiration: have any particular successes in Peruvian filmmaking influenced the tropes, genre, or style of this feature? SM: The logline for the film reveals a lot by calling the movie, “Superbad meets Y Tu Mama Tambien.” Neither of those is a Peruvian movie, so the space in which your film wants to fit is a new one. TS: I certainly hope so. There was a pretty successful film called Mañana te Cuento (2005) that has some similarities – it’s also about a group of kids that go and party all night – but I don’t think they’re much like one another at all. SM: Will the fact of your film’s American co-production status give it a leg up on the competition in Peru? Would this type of international production have even been possible at this scale five years ago? I can’t help but think of Eugenio Derbez’s enormous success last month with the Spanish-language Instructions Not Included (2013). TS: I think five years ago we were making this film! *Laughs* Actually, we had quite the opposite experience at first when we were shopping the project around. People kept saying to me, “If only you’d shown me this script three years ago,” because of the recession in the U.S. That was really what slowed us down in between shoots. But there was a nice surprise this year that we had not planned on: there was a boom in the box office with a movie called Asu Mare (2013) that was a huge, huge hit in Peru. It beat out every Hollywood film at the box office when it was in theatres and went on to gross millions of dollars, which used to be rare in the country. Then in July, there was a found-footage horror movie called Cemeterio General (2013), which also was a big success. 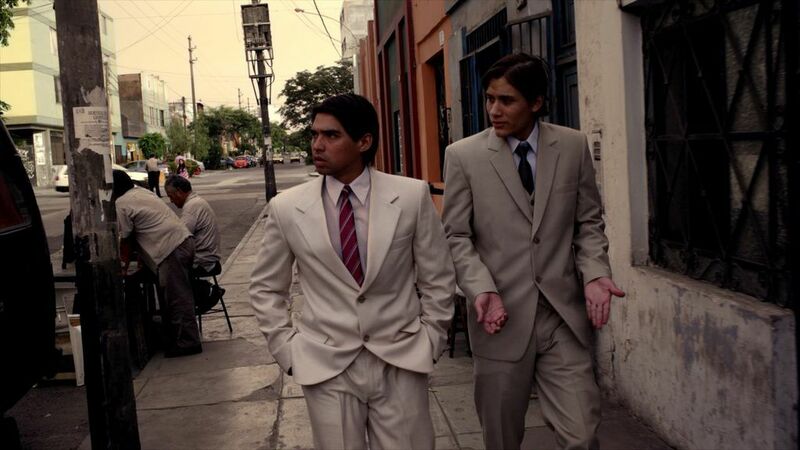 Now, there’s an influx of Peruvian movies coming out that are boosting the box office. My hope is that the people who’ve made these films successes will be interested in our film as well.